FIND THE HOLLYWOOD HILLS HOME YOU WANT! 2932 LEDGEWOOD DR | HOLLYWOOD HILLS HOMES | ASKING $1,125,000 | SOLD! 3122 BEACHWOOD DR | HOLLYWOOD HILLS HOMES | ASKING $1,395,000 | SOLD! 2733 Belden Drive (Hollywood Hills) Los Angeles, CA 90068 $1,279,000.00 |SOLD! 6672 LAKERIDGE ROAD | HOLLYWOOD HILLS HOMES | ASKING $1,115,000 | SOLD! TELL ME WHAT YOU WANT AND LET'S GET IT DONE! Over 30 years real estate experience, with the energy to get you where you want to be. 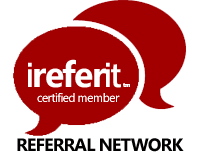 Work with a real estate professional that has over 15 years on Internet Marketing experience. Client first mindset, working to get you the results you need in a changing real estate market . Want to Know more about the Neighborhoods that make up this beautiful area called Hollywood? Results received from these calculators are designed for comparative purposes only, and accuracy is not guaranteed. REHollywood.com and Paul Allen Powers does not guarantee the accuracy of any information available on this site, and is not responsible for any errors, omissions, or misrepresentations. These calculators do not have the ability to pre-qualify you for any loan program. Qualification for loan programs may require additional information such as credit scores and cash reserves which is not gathered in this calculator. Information such as interest rates and pricing are subject to change at any time and without notice. Additional fees such as HOA dues are not included in calculations. All information such as interest rates, taxes, insurance, PMI payments, etc. are estimates and should be used for comparison only. REHollywood.com and/or Paul Allen Powers does not guarantee any of the information obtained by these calculators. For detailed figures, contact Paul Allen Powers directly at 818-220-6478.